Bristlecone Shooting has made firearms education a core focus. We believe safety, firearms familiarity, and skills improvement are paramount for anyone looking to participate in the shooting sports or incorporate firearms in to their personal and home defense strategy. Bristlecone has created a non-intimidating environment and employs only certified instructors to teach the wide variety of classes they offer. The facility has two training classrooms that include state-of-the-art virtual training simulators and enough seating to comfortably accommodate up to 70 students. From group classes and private training sessions, to free seminars and non-firearms classes, our calendar is full of educational opportunities that will fit any goal (look for classes specifically for women, youth and seniors). Below you’ll find detailed class descriptions, but you may also contact us to learn more. This Comprehensive Safety Course is designed to give you a solid foundation on which to build as you explore the practical side of handguns. Whether you have never held a gun before, or have done some shooting and want to refine your basic skills, this class will help you start strong and gain confidence in your ability to handle a firearm safely. You will learn: Firearms Safety Rules, Pistol Actions, Ammunition Nomenclature, How to Load and Clear a Pistol, How to Select and Store your Pistol and much more. Classroom and Live Fire Range. If you don’t have the recommended equipment, we offer equipment rental onsite. Ammunition must be purchased separately. Minimum number of students (3) required to run the class or it may be canceled/ rescheduled. The Fundamentals of Home Defense Handgun Course is designed to educate the student about the handguns that are best for personal defense and how to use them efficiently in the context of a home defense scenario. Although this class was designed with those new to firearms in mind, anyone with handgun experience who wants more specific information on handguns in home defense scenarios is welcome to attend. During this 6 hour course, students will be introduced to various home defense handgun options and learn the fundamentals of defensive shooting through classroom and live fire range time. Home defense tactics, safe storage and staging, as well as appropriate law enforcement response and incident aftermath will be covered. Students will have the opportunity to test their skills in the context of a staged home defense scenario on the range at the end of class. Range appropriate clothing (No shorts or open toed shoes). Equipment rental package available for $10. This includes a handgun and magazines. Minimum number of students (3) required to run the class or it may be canceled / rescheduled. After completing this course, you will exceed all of the State of Colorado’s requirements to apply for a CCW Permit. This course is designed to educate students about the firearms best for concealed carry, how to carry them safely and securely, and how to use them efficiently in the context of a dynamic critical incident. This six hour course introduces new shooters to some of the core basics of the Defensive Focus® Shooting program, as well as aspects of handgun ownership and other basic information geared towards the new handgun owner. Firearm safety, holster selection, as well as alternate force options, interacting with law enforcement and the aftermath of an incident. 3 hours classroom, 3 hours on the range – including drill and scenario based training in the live fire environment. I encourage women who are looking for a great class to learn how to shoot and want to obtain their CCW to sign up for this class. I took Women’s Intro to Pistol before this class and I recommend that class too. Thank you Bristlecone for your awesome instructors! The Fundamentals of Defensive Focus Shooting (powered by CFS) is a one day course that will expose the student to all of the core principles and fundamentals of the Defensive Focus Shooting Program. This course will cover the basics of intuitive defensive shooting, Combat Accuracy, The Balance of Speed & Precision, an introduction to the understanding the Body’s Natural Reactions during a Dynamic Critical Incident, understanding the integration of lateral motion and additional concepts as time allows. This Course will provide the student with an understanding of true Counter Ambush training with a defensive firearm, base level defensive shooting skills and a training methodology for continuing to develop those skills. Eye and ear protection. Attire for this course is range appropriate clothing. (Please, no shorts, no open toed shoes). Tired of training on a static range? Check out what Bristlecone is doing to incorporate cutting edge Scenario Based Training techniques to bring you the best possible training opportunities in the Denver Metro area. Scenario Based Training is the latest firearms training technique available at the civilian level. Emotionally charged and realistic scenarios are used to test and evaluate how students deal with rapid information processing and decision making with a firearm under stress. At Bristlecone, we use Simunitions (need trademark symbol)-converted live firearms and corresponding ammunition, protective gear, holsters and other environment specific aids to give students a safe and realistic experience. 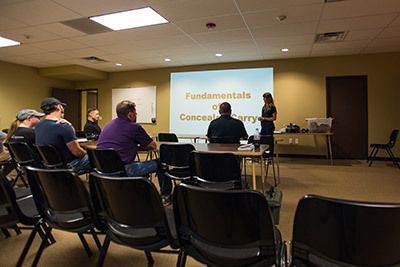 Students will get a practical sense of their response to concealed carry situations when their adrenalin is high and they are required to call upon their previous training to respond. 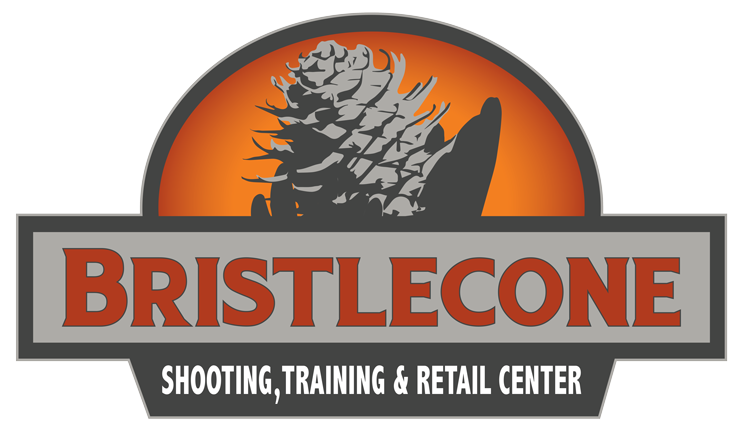 The Bristlecone Shoot House is a 360 (degree sign) environment designed specifically for Scenario Based Training with realistic live Simunition firearms and ammunition. It gives students an opportunity to hone their skills in a venue that approaches real world conditions. The Bristlecone Shoot House has moveable walls, furniture and appliances that can be arranged to create a number of scenarios for students to participate in. In addition to the Shoot House environment, our Scenario Based Training also incorporates our Ti Virtual Simulator. The Ti Virtual Simulator is a state of the art training tool in which realistic scenarios are presented to the student to test and evaluate their responses and reactions in a digital environment. With the Scenario Based Training in the Shoot House and in the Ti Virtual Simulator, the students are debriefed directly following each scenario, giving them an opportunity to discuss their responses and reactions with the instructor while the experience is still top of mind. We are incorporating Scenario Based Training and the Shoot House in to some of our CCW classes, as well as offering scenario only classes. Take a look at training our calendar here for upcoming training opportunities. So you’ve got your CCW permit. What now? This course is a great next step that will teach you practical skills that every permit holder should have. Learn different practice philosophies, what you can expect from different common malfunctions, cleaning and maintenance schedules, gear considerations and more in the classroom, and then spend some time on the range learning and practicing practical drills that you can take with you beyond this course. These are all perishable skills. Make sure that you are equipped with the knowledge of how to continue your practice and be a safe, responsible and effective CCW holder. Required equipment: Handgun (semi-automatic preferred), strong side outside the waistband holster, sturdy belt, 150 rounds ammunition, range appropriate clothing. FOR ADVANCED SHOOTERS. Most gun encounters happen at night. This course explores what is needed to shoot in low light/no light situations, using available light or a hand held flashlight. You will have the opportunity to experience shooting with a light system mounted on your weapon during the class if you come prepared with an accessory rail. You will also learn alternative shooting positions, shooting at a distance, how to use a flashlight/ cover of darkness to optimal advantage, and various types of flashlight holds. Knee pads are highly recommended. Minimum number of students (3) required to run the class or it may be canceled/rescheduled. Home and Family Firearms Seminar $75 per family (up to a family of 4, $25 each additional family member). The seminar begins with a discussion about the risks and dangers that firearms present and how those risks can be mitigated. We will discuss purchasing your first firearm, home defense firearms and training, cleaning and responsible firearm storage. This course will also address friends with guns, toy guns and what youth should do if they find a gun. Minimum number of families (3) required to run the class or it may be canceled/ rescheduled. Alessandro Padovani of Safer Faster Defense teaches several hand to hand, women only and knife defense classes at Bristlecone. He teaches basic, efficient skills that are easy to master and recall under stress, as well as addresses the psychology behind attackers and how to be better prepared. Appropriate for all skills levels. Our very knowledgeable and certified instructors can take you anywhere you want to go. From basic marksmanship, gun handling and maintenance to extreme drills or even building your own AR. Our Private Instruction is completely customizable. Casualty Care is based on Tactical Combat Casualty Care (TCCC) that has been in use for over a decade. This course is designed for anyone who shoots, from Law Enforcement to weekend recreational shooters. No medical certification, experience or licensure required. One of the most exciting training features in our facility! Are you looking to take your marksmanship skills to the next level? Or are you curious about the shooting sports and want to experience shooting a real gun, but in a non live-fire setting? Our system can accommodate a wide variety of scenarios and sport shooting levels.